probably taken between 1880 and 1890. Luvicy (or Lavicy) Bruce Nix was born April 27, 1798, in Georgia. She died December 21, 1890 in Honey Grove, Fannin County Texas, and is buried in Oakwod Cemetary,. She married Obediah Nix about 1818 or 1819, probably in Murphreesboro, Tennessee. They lived in the Madison County Tennessee area where the first 4 children were born. Mary Arminda Nix born 1820 (my ancestor); John Edward Nix born 1822; William Anderson Nix born 1824; and Lucretia Nix born 1826. John Edward Nix married Mahala Ann Frances Mitchell in Mason Co. Illinois June 11, 1846. John Isaac Nix was born to them 1847 - he died in 1934, also in Illinois. John Edward died about 1848 (he is not on the 1850 census but Mahala is). 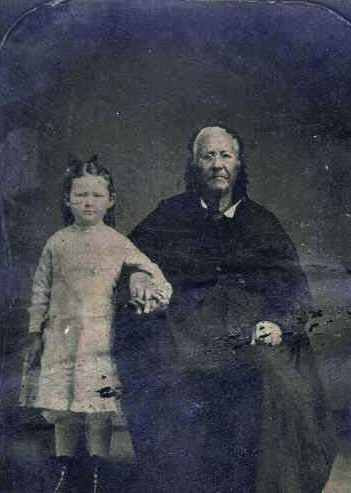 Mahala and her son remained in Illinois, and she died there in 1886. The entire Nix family, with the exception of daughters Mary Arminda and her husband Preston Kemper Phenix and Lucretia who married Emsley T. Harris. They had already moved to Texas (Lamar County). Obediah and children, including wives of those who had already married), moved to Texas about 1853 and settled in Honey Grove. Some of the sons moved on to Jacksboro, Jack County. Obediah went out to visit in 1859, and died there. He is the first person buried in the cemetery there. Luvicy and sons Francis Marion and Manning L. Nix remained in Honey Grove, Fannin County. They are on the Fannin County census in 1860, 1870 and 1880. 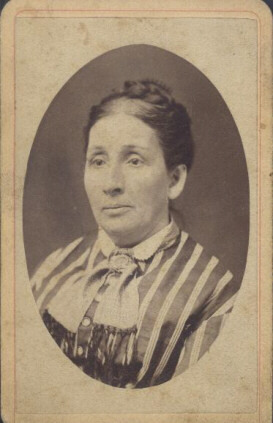 Mahala Nix remarried to a John W. Boring August 24, 1856 and again to a Leland W. Carpenter August 8, 1863 in Mason County Illinois.